Perhaps the most ambitious album in the career of this multi-award winning guitarist. « Guitar Groove-A-Rama » jumps out of the gate with the funky lead-off track, “Do The Memphis Grind,” (with a tip of the hat to guitar greats James Burton and Steve Cropper) and never lets up. 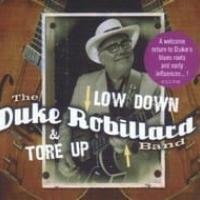 Along the way, Duke explores the grooves of Delta blues (Lil’ Son Jackson’s “Gambler’s Blues”), jazz/gospel (“Sunday Mornin’”), Chicago blues (Sonny Boy Williamson’s “One Way Out”), the soul of Ray Charles (“I’ll Do Anything But Work”), the country blues of Bob Dylan (“Down Along The Cove”) and even Irish folk (“Danny Boy”). 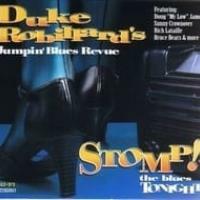 In an album filled with highlights, the best may be the 16-minute tour-de-force “Blues-A-Rama,” wherein Duke pays tribute to 10 guitar influences with an amazing performance recorded live in the studio. 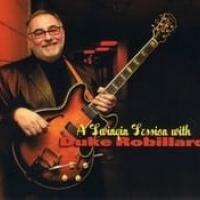 “When I came up with the idea of « Guitar Groove-A-Rama », I wanted to make an album of tunes that showcased all the sounds and influences that make up my style, or styles,” says Robillard in the CD liner notes. “Of course, the blues is at the root of nearly everything here, but I also wanted to show some of my other influences that moved me as a young guitarist. « Guitar Groove-A-Rama » is a culmination of my lifelong love affair with guitars and roots music, but I really wanted to make this album for my fans,” he adds. 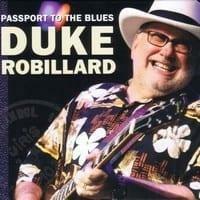 Is Duke Robillard a blues, jazz, swing, or rock musician? That's a question that has plagued many a record store clerk trying to slot the guitarist into a bin that fans might logically gravitate to. 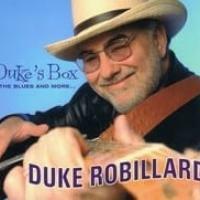 But, since Robillard has released albums in all of those genres, he clearly needs multiple locations for his albums, and this one needs to go in all of them. 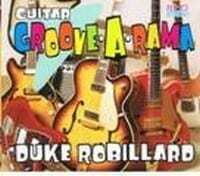 An outlet for his different vintage guitars (some shown on the cover) as well as styles he works in, Guitar Groove-A- Rama is a one-stop album for the Duke Robillard fan who isn't sure which category of music he wants to hear. 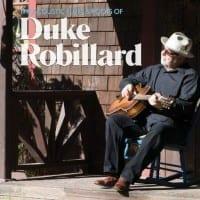 Kicking off with some dusky Southern swamp rock in "Do the Memphis Grind," the album twists, turns, and wiggles through deep blues, loungey jazz, instrumental surf and pop, a Bob Dylan cover, a tango, and a 16-minute history of blues guitar legends who have inspired Robillard. If it sounds like a lot to bite off, and it is, but due to savvy sequencing and the artist's incredible talents, the project never seems scattershot or eclectic simply for the sake of being so. 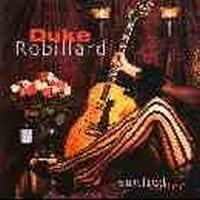 The 14 tracks unwind over the course of 77 minutes, but it's unlikely any fan of Robillard will be pushing the forward button during its length. 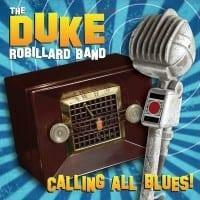 Accompanied by a stripped-down duo and occasionally augmented by old Roomful of Blues cohorts Al Basile on cornet and Doug James on baritone sax and harmonica, Robillard pulls out the stops on a pu pu platter of many (but probably not every) style he knows. He swings it on his own "Cookin'," gets mellow on a lovely cover of "Danny Boy" with a surprise and humorous Beatles ending, goes country for Bob Dylan's "Down Along the Cove," and shifts into slinky combo mode when he pulls out a Ray Charles obscurity "I'll Do Anything But Work." He also revisits "This Dream," a tune previously recorded for the Temptation album, that shifts into Middle Eastern scales for a ten-minute workout that is just one of the disc's many highlights. Liner notes by the artist describe each guitar and pick-up used for the tech heads. Most importantly, Robillard sounds like he's having a blast and that vibe transfers to the listener throughout the set's extended length and various genres. 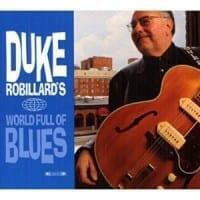 It helps make this a perfect place to begin a Robillard collection, or continue an existing one.